Memories of the aggressive industrial development in South Korea in the 1970s and ’80s continue to shape her oeuvre today, as is also apparent in her work Approaching: Choreography Engineered in Never-Past Tense, which she showed at dOCUMENTA (13) in Kassel in 2012. While for many Western countries the Industrial Revolution was a defining but long since past experience of the eighteenth and nineteenth centuries, now in other parts of the world it is occurring alongside rapid technological development. 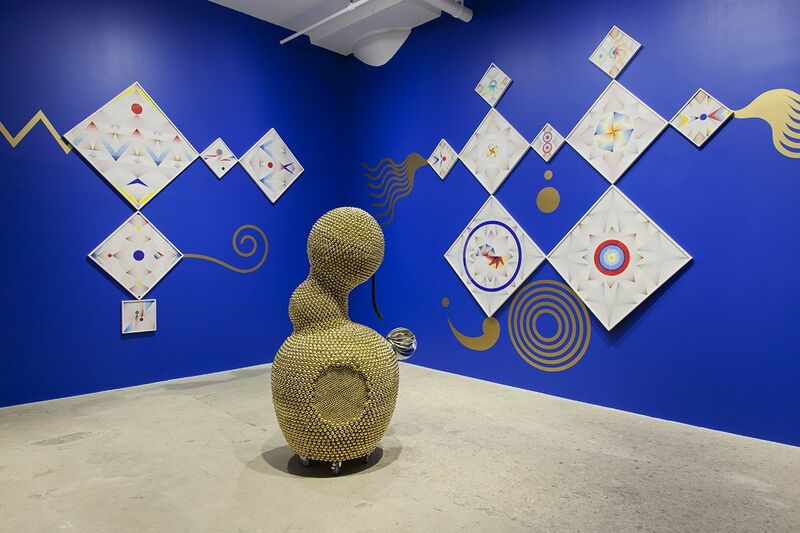 The collectively experienced change in all areas of life which these fundamental shifts entail serves as one of the points of departure for Haegue Yang’s work. The artist understands the Boiler House at the KINDL as a typically post-industrial place that is now only a relic of its original industrial era and has been repurposed as a cultural venue. Yang has previously exhibited in a variety of such spaces typical of modern-day cities, such as a former freight train station in Kassel and the Tanks at Tate Modern in London. Haegue Yang (*1971 in Seoul) lives and works in Seoul, and since 2005 also in Berlin. Her works are exhibited around the world, most recently in Germany at the Hamburger Kunsthalle (2016), Haus der Kunst in Munich (2012), and Portikus in Frankfurt am Main (2008). She was recently appointed professor at the Städelschule in Frankfurt am Main.